What if two friends occasionally meet to talk about Canadian movies? William and Alexander navigate the pitfalls of being podcasting pals while they chat about the 2013 relationship movie The F Word. 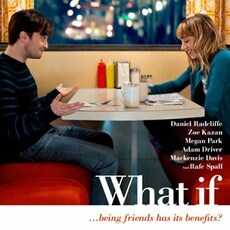 Also known as What If, it's the second Michael Dowse film we've put under the scope. Find out more about this movie on its IMDb page: The F Word. We talked about Goon on an earlier episode.